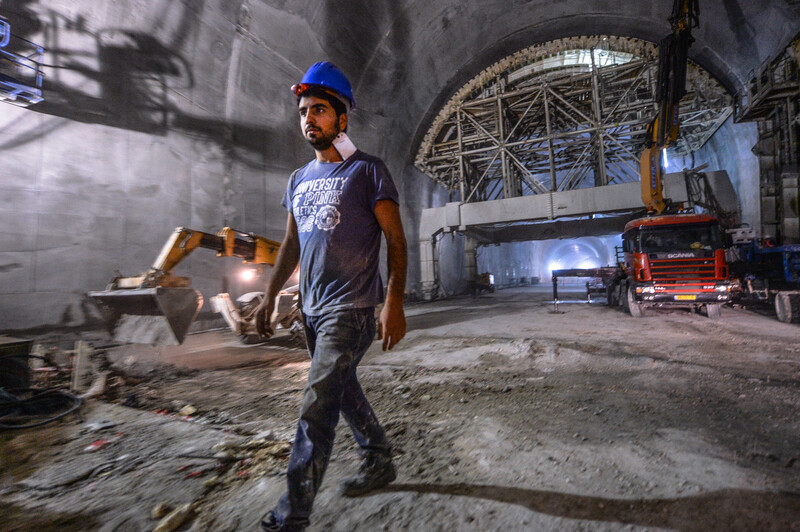 The Tower’s photographer takes us inside Israel’s biggest construction project. By 2018, Israel’s two biggest cities will be linked together in one of the largest engineering projects in the country’s history. 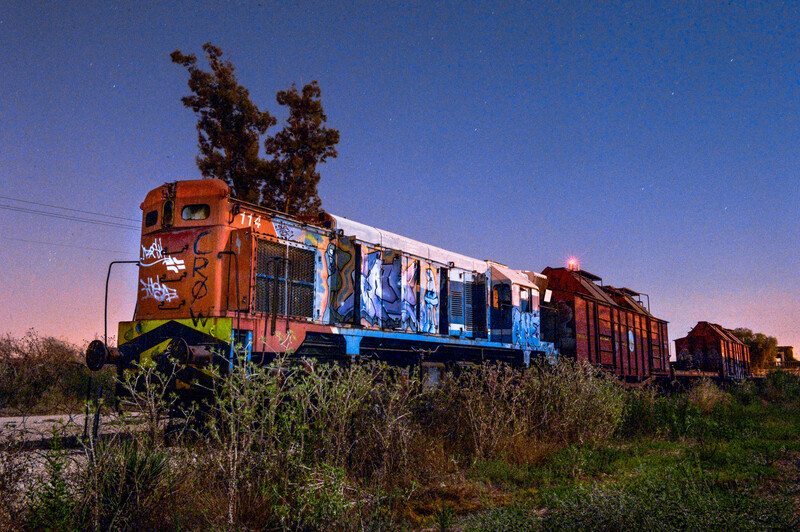 Israel’s national railway company, Israel Railways, is now working hard on what it calls a “mega-project” to connect Tel Aviv and Jerusalem via a high speed rail line. 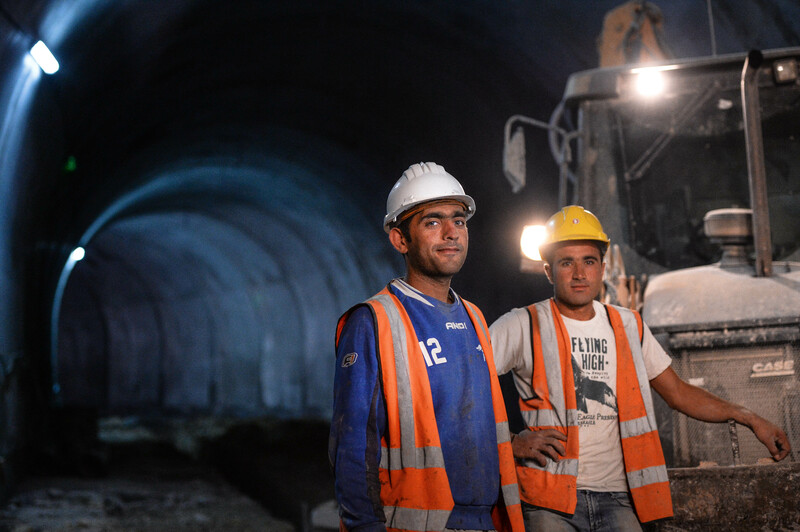 Mehirah Labirah (literally “fast to the capital”) is an NIS 7 billion (approximately $1.9 billion) project that has been under way for years, and its ambition is nothing less than stitching Israel’s east and west together. 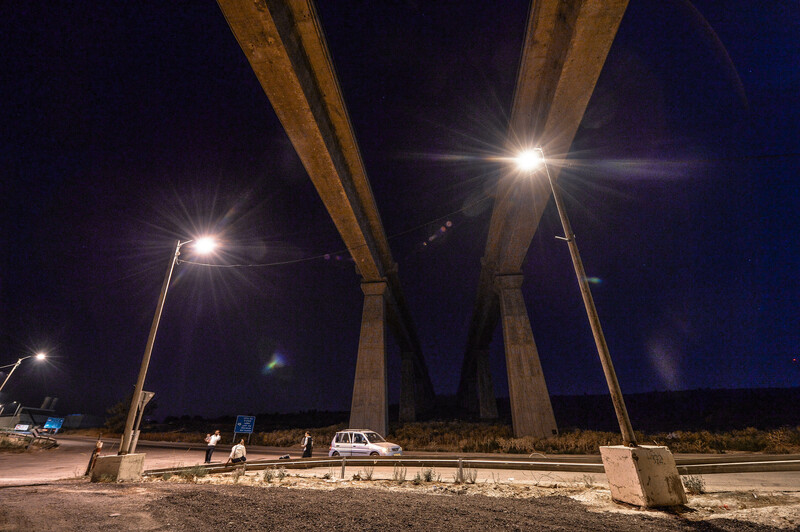 According to Rakevet Yisrael, the ultimate goal of the project is to “improve the socioeconomic situation” by giving workers a means of commuting between both cities. At the moment, the commute between Tel Aviv and Jerusalem stands at roughly an hour and a half, and is beset by traffic jams and other logistical problems. 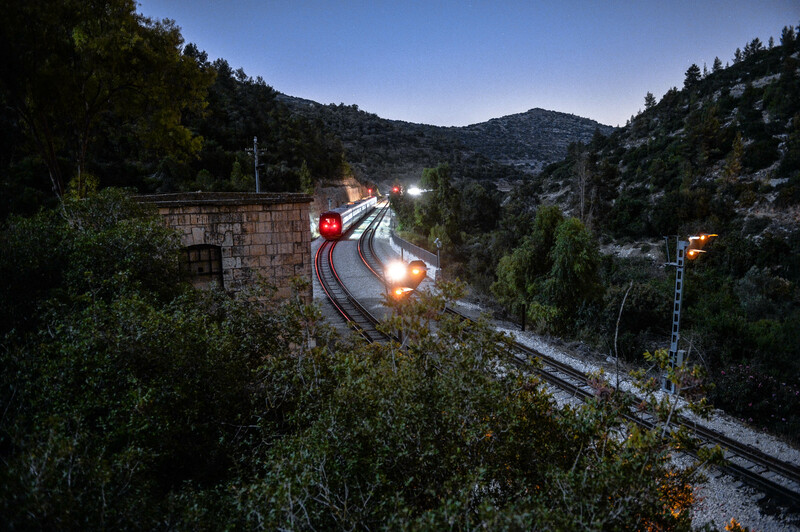 The new rail line will cut this commute to a mere 28 minutes, crossing the 35-mile route at 100 miles per hour via a network of bridges and tunnels, bypassing the bumper-to-bumper traffic on Israel’s most crowded highways. 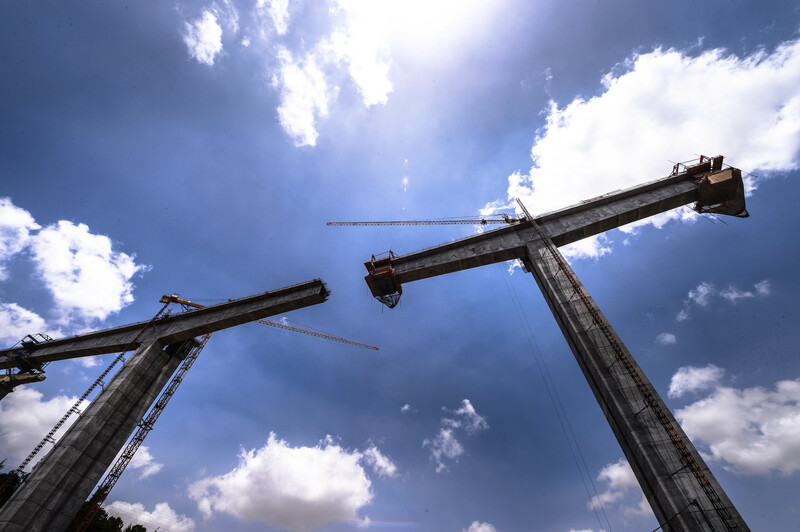 Tower photographer Aviram Valdman was on hand to document the work, and as his photographs show, the undertaking is indeed “mega” in scale. It employs 700 engineers and a huge team of laborers working in three shifts, 24 hours a day. And they are not only laying track. 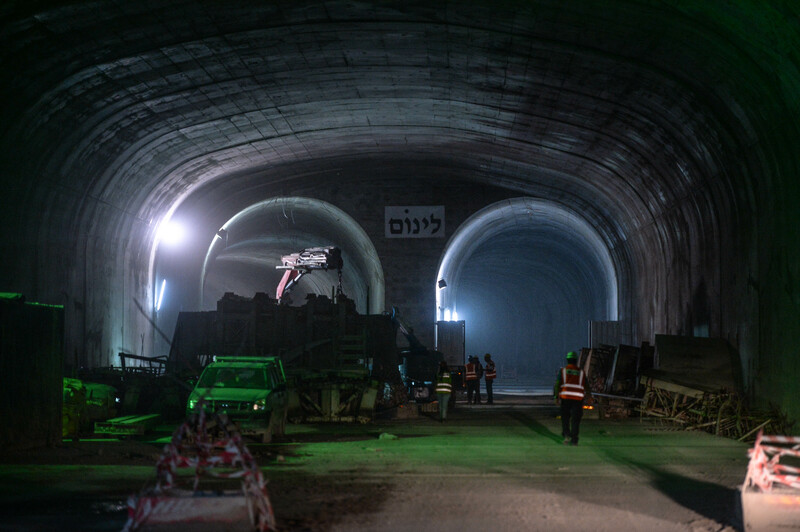 One of the most difficult parts of the project are the bridges and tunnels required to bypass Israel’s highway system and accommodate the huge variations in altitude between low-lying Tel Aviv and the heights of the Jerusalem hills. 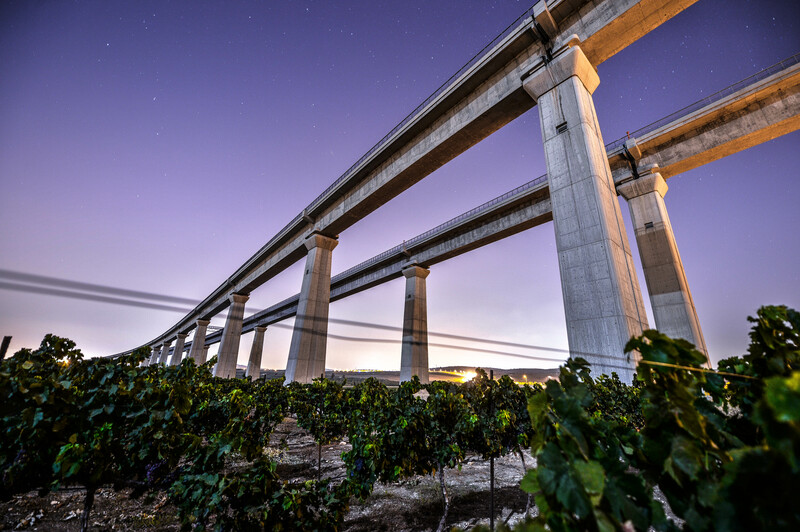 To accomplish this, ten bridges will be built, the longest of them standing at 1,250 meters, or three-quarters of a mile. 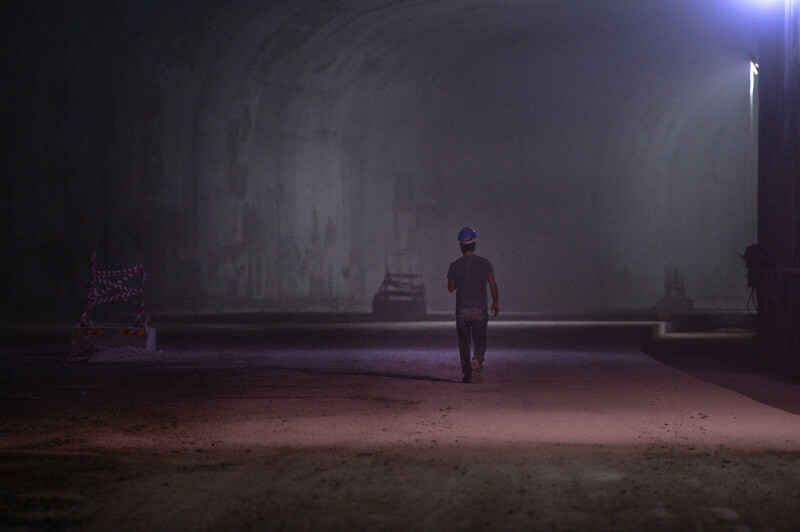 The five tunnels are even more enormous, stretching 12.5 miles in total, with the longest over seven miles long. 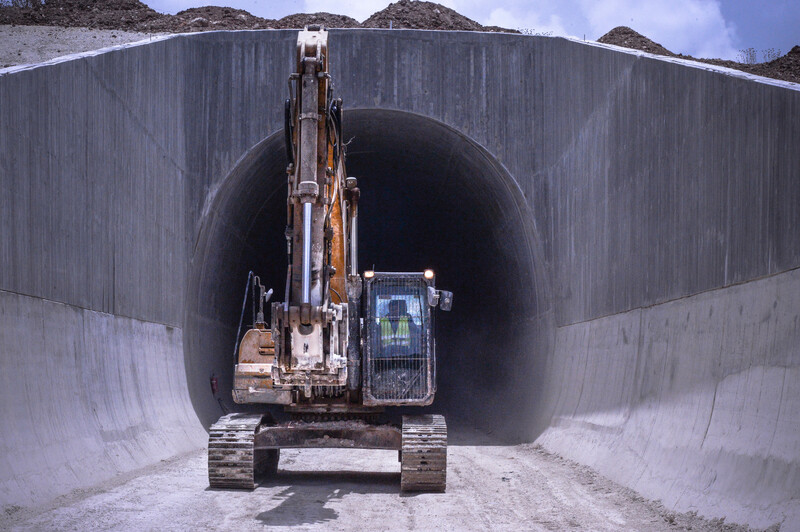 The tunnels also provide perhaps the most impressive spectacle of the entire project. 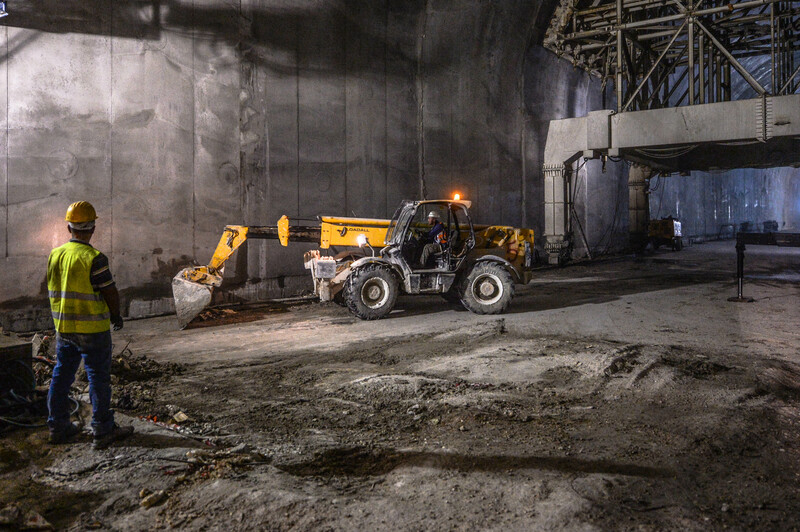 As Valdman saw, the construction involves workers toiling deep underground in immense vaulting chambers. Integral to the work is the Tunnel Boring Machine, a massive device that looks like something out of a science-fiction movie. Built in collaboration with a Russian company, the TBM will smash through miles of rock in order to pave the way for the exacting human labor that follows. Israelis often see Tel Aviv and Jerusalem as two irreconcilable poles, with their own cultures, values, and economies. 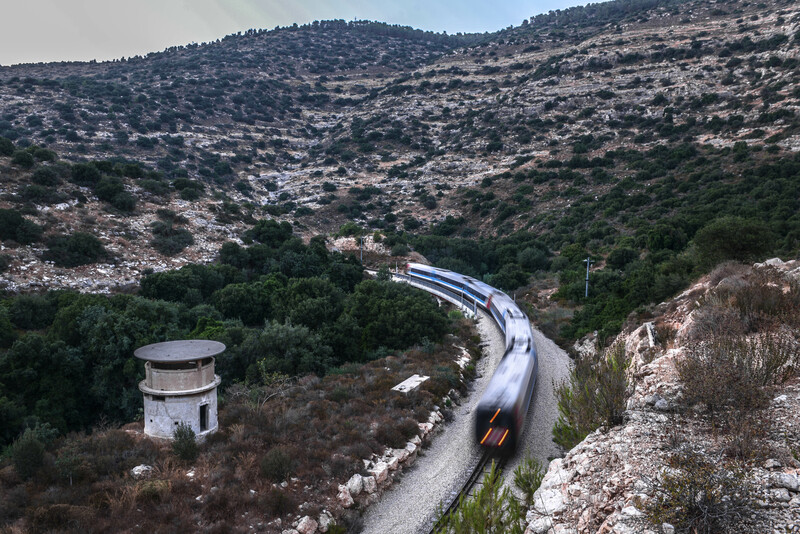 But once Israel Railways’ mega-undertaking is finished, it will stand as both a tribute to Israeli ingenuity and an epic achievement that brings these two sides of the country closer together. 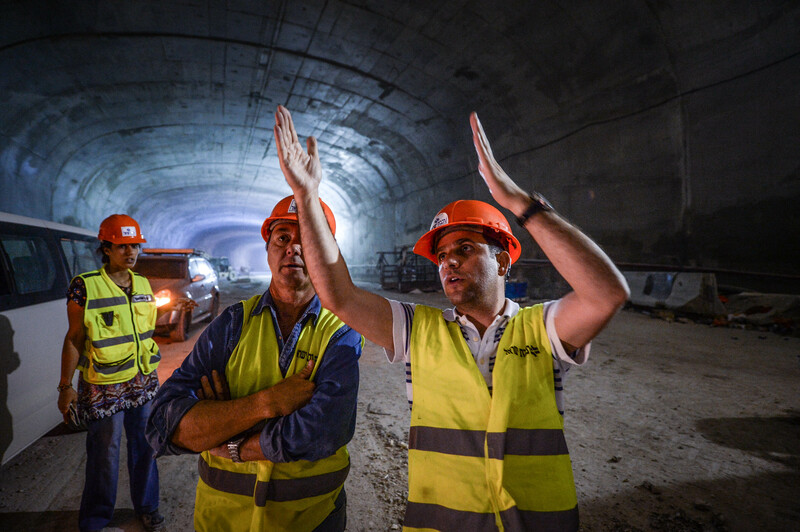 As it builds bridges across the land, it will build bridges between Israelis, improving the lives of countless citizens of the Jewish state, and bringing further peace and prosperity to these two unique and remarkable cities.